The Washington Art Association & Gallery will showcase the works selected by internationally acclaimed artist Eric Aho in this exhibition. After reviewing nearly 500 works and selecting 60 for a juried exhibition in 2016, Aho then chose three exceptional artists for a group exhibition this year. “Winners of the 2016 Juried Show” features the work of David Moriarty, Hans Neleman and Judith Wyer. 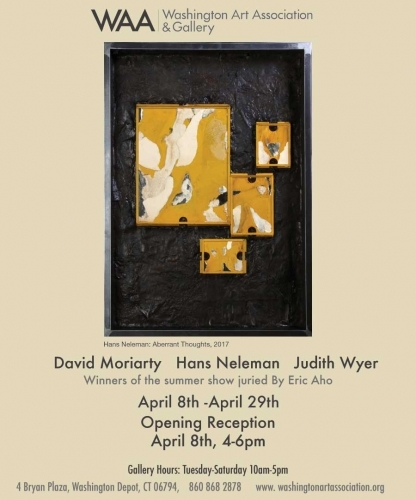 An opening reception will be held on April 8, from 4-6pm in the WAA galleries. The reception is free and open to the public.